Product information "Lumi F07 G25 Sfera Wall/Ceiling Light"
The Lumi-series of the Italian manufacturer Fabbian convinced in their variation of the ceiling and wall light F07 G25 Sfera by their organically shaped diffuser and high quality material. The lampshade is made of blown and white satin glass is supplemented by a support structure made of reinforced fiberglass polyester. Designed by D & G Studiothe beautiful lamp diffuses the light evenly in space, thus creating a sophisticated interior atmosphere. Specialty: This Fixture is available ONLY for a voltage of 220–240V, we do NOT ship Fabbian products to USA and Canada. 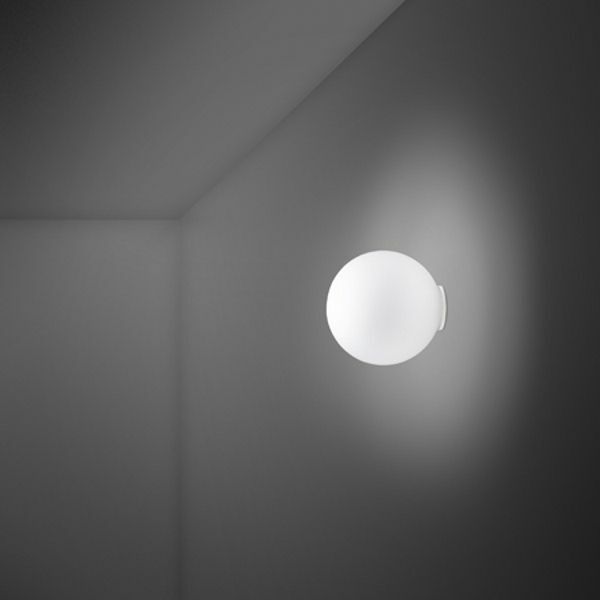 Related links to "Lumi F07 G25 Sfera Wall/Ceiling Light"